Have you ever wanted to use the machine gun from the game intro? Did you wonder how a flamethrower would work in space? Or, a time stopping cannon? 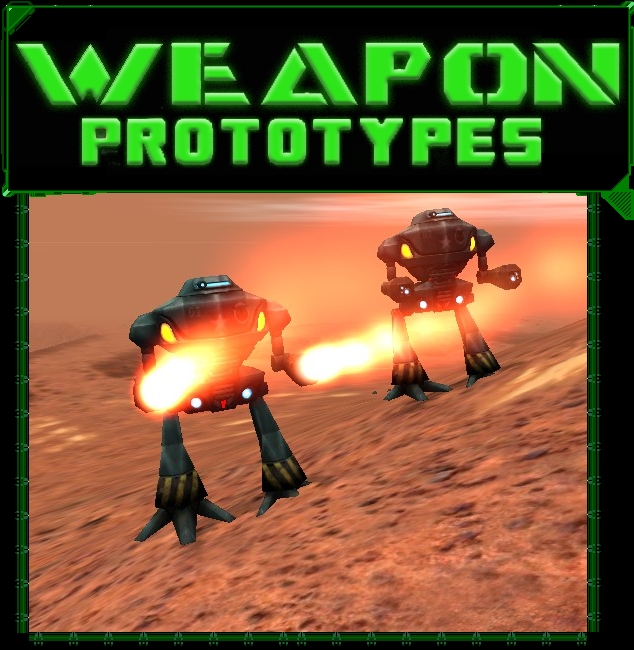 Fear no more, the prototype weapons pack has you covered. WARNING: This weapons pack replaces some of the original game content. 16 NEW whopping weapons for you to experiment and play with! Push the game to the limit with this weapon pack's endless possibilities! AC-Stabber - Short for Acid Stabber. Damage over time galore! Flamethrower - Great for the cold war. Haha, get it? Megagun - Minigun/Chaingun on space steroids! Napalm Mortar - Turtling? Not anymore. Pop Rocket - Because locking was too hard. Quake Mine - Terrain too stable? We can fix that. Sniper Gun - Not that good considering tanks don't have heads. UPDATE 27/7/2016: Fixed crashes, ordinances, and various bugs. Special thanks to GoombaBZ, blue banana, and Ded10c for their help with the mod. I'm really grateful for the help!